We were extremely fortunate to have Drew Corby, Strategy Lead from Purposeful – Ethical Consultants present at our 2018 Annual General Meeting. Drew has a background in front-line leadership and is an expert in helping organisations create the types of lasting cultural changes that are necessary to attract and keep young workers. One of the biggest issues that many organisations struggle with is how to engage these “millennials” (those born between the 1980’s and early 2000’s). Millenials have a bad reputation and are often labelled as being lazy and lacking workplace loyalty. What this equates to might be different for every organisation, but can have a big impact on a business’s bottom line. 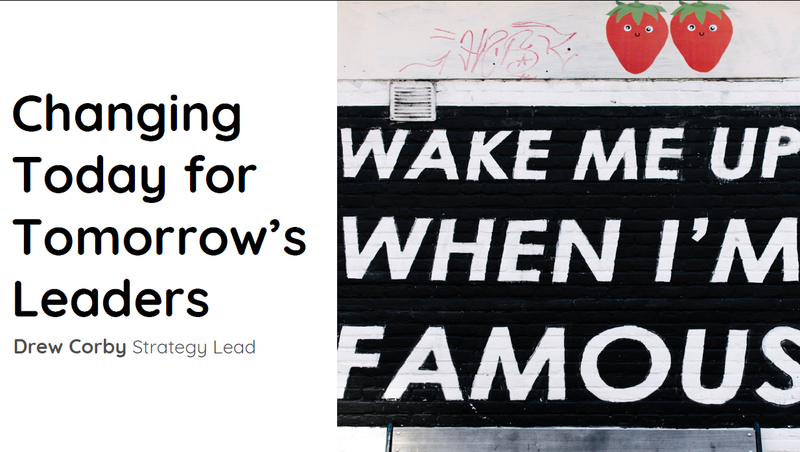 You can view the full slides entitled “Changing Today For Tomorrow’s Leaders” here. For more information about Purposeful, visit their website.